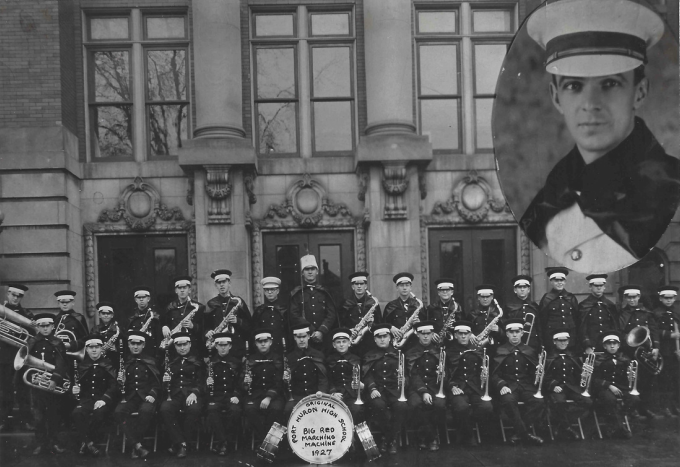 The BRMM posed for this picture in 1927 in their new uniforms. Standing, left to right: Raymond Straffon, Edward Howard, Ford Marshall, Anson Stacy, Lewis Austin, Kenneth Linton, Ernie Straffon, Holly Allan, Jacque Orth, Granger Well, Ken Hoover, Thuron Godbold, Don Phillips, Dan Bryant, Eldon Wonderlick, Maurice Straffon and Cooper Johnson. Sitting, left to right: Herb Hanton, Carlton "Dutch" Cary, Chuck Vroman, Don Preston, Jack Berry, William Betteridge, Jerry Relkin, Ken MacLeod, Gordon Whiting, Bill Montgomery, "Ollie" Hanson, Sherman Lee, Hugh Barry and the last person seated is not identified. Inserted in the top right is I. R. Challinor. 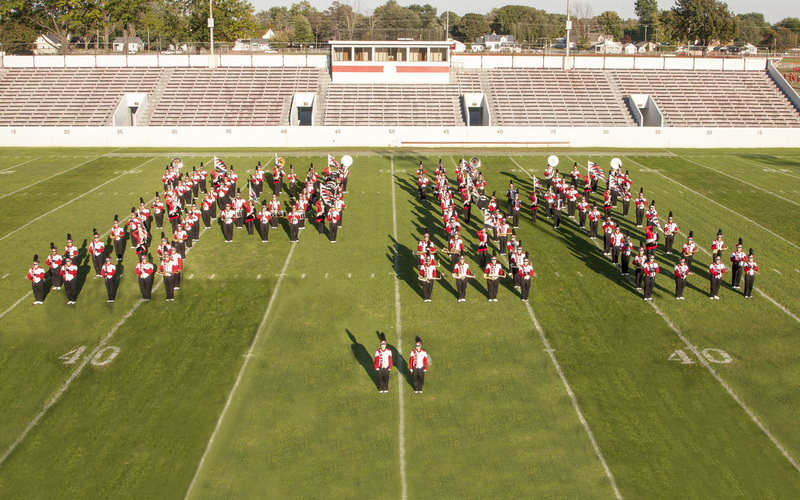 The band was organized in the 1924-25 school year.